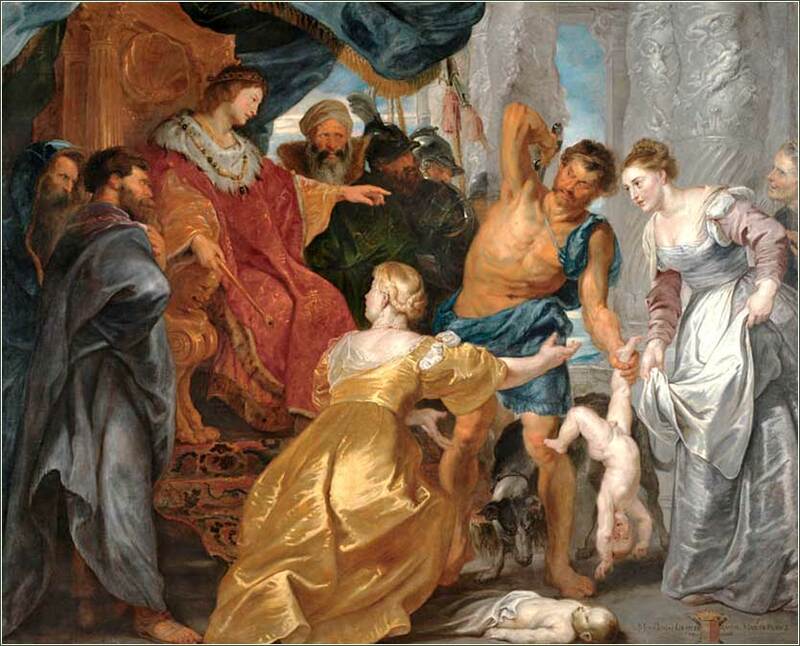 The Judgment of Solomon by Peter Paul Rubens, ca. 1617. Notice how there are three bands of color: dark for the advisors, cool and light for the false petitioner and baby, and warm middle tones for Solomon, the mother, and the executioner. Our “Saturday Oldie” features a duet between a top popular singer and a top gospel singer of the early 1950s. Remember these words when I am dead. First be sure you’re right, then go ahead. When I was very young, the quotation by Davy Crockett seemed to me to be the stupidest thing a person could say. It seemed to say practically nothing. Until a person has felt the hard hand of experience, he cannot see the meaning of it, must less the importance. he quote says two things, the first of which parallels the quotation from Proverbs. If you want to maximize the damage you do in your life, learn to say whatever you think. If we do this enough, we can begin to recite rationalizations we have memorized to make it appear to be a virtue: “I say what I think” or “if I seem blunt, it’s because I’m honest.” Here’s a good rule of thumb: if you ever start a sentence with the words “don’t take this the wrong way”, stop talking. Whatever it is you are about to say is going to hurt the feelings of the person you’re about to say it to. But this is about more than people’s feelings or saying something stupid. The Bible tells us that reflection before answering is an act that comes from a righteous heart; spewing out your thoughts, unfettered, is the habit of the wicked. Proverbs is an instructional book, a book of wisdom, and this is something that we must learn, for it does not come naturally. But we have a duty, as Christians, to learn it and practice it. We find it commonly in situations where we think somebody has insulted us, or has said or done something stupid or harmful. 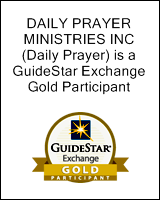 We get angry and prideful, and (like all emotions) anger and pride can quickly become sinful. We hear this throughout life: Think before you speak (or act). Count to ten. Hold your tongue. But just because we can repeat the phrases does not mean we have learned them. Holding our tongue is not something that we learn once and then live, because like our fight against all forms of sinfulness, it is something that needs to be relearned and rehearsed every day, for the temptation will spring anew in full power. 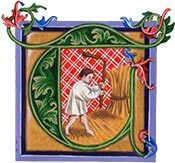 We should remember how much time Peter spent in 1 Peter developing the theme of blessing those who persecute us, who speak ill of us. If we do not “reflect before answering,” we will blurt out evil. Apparition of the Virgin to St Bernard (detail), Filippino Lippi ca. 1480. 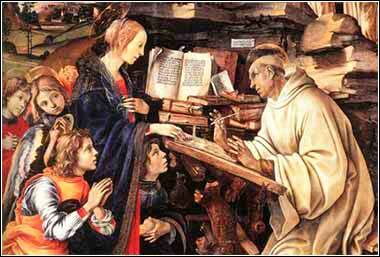 St. Bernard was known for his great expression of Christian love and charity.